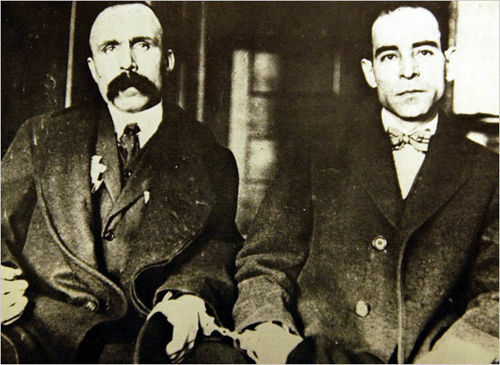 Today in labor history: On May 31st 1921 the trial of Bartolomeo Vanzetti and Nicola Sacco began in Dedham Massachusetts. The trial was widely held to be unfair and both were executed. Sacco and Venzetti were both Italian anarchists. 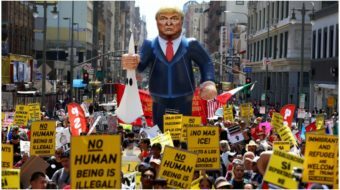 The trial unleashed a wave of anti-immigrant and anti-left hysteria. 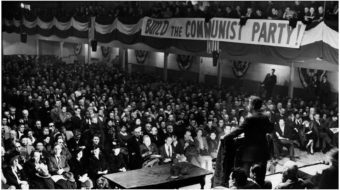 Their case became a cause celebre in the labor and democratic movement in the U.S. and worldwide. On the 50th anniversary of their execution then Governor Michael Dukakis isssued a proclamation declaring August 23 Sacco and Venzetti day. The proclamation decried the unfairness of their trial and removed any disgrace associated with their names. Long live Sacco and Venzetti and the right to a fair trial!